JohnsonServices & Companies Suite of Services for Insurance Brokers and Agents are powerful tools with foundation products such as; Term Rate Quote System, CaseTrack© and ClientTrack©. Log-In to the Agency/Agent Toolbox securely and have access to your membership product plus several ancillary products for Reports, Resources and Marketing. 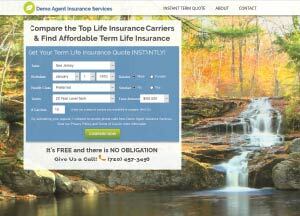 Get Instant Online Term Quotes from the Major Carriers. We combine the accuracy of CompuLife's term insurance database with the power of our custom interface and advanced web servers to provide you one of the fastest and most customizable term quoting services available anywhere. We can fully customize your web pages to take advantage of website forms and client services. 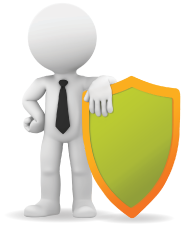 We have been serving the Insurance Industry since 1998 providing services and secure dedicated servers. These servers are now Cloud-based and capable of rapid expansion to meet the changing needs of Internet-based services. We will build you a dedicated cloud-based platform for your agency and give each agent their own personal website to market themselves and service clients. With our easy-to-use on-line interface, you can track each case, and simplify paper work with the digital form library. Worried about hosting? Don't be, it's included in your price. The Agency Administrator has both an Office Owner/Staff secure area and an Agent/Producer secure area, which includes all the features in the Agent Toolbox. The Owner/Staff area has access to ALL information within your Agency Platform as well as reports and other services the Agent/Producer level does not allow. Gives access to the services you provide Agents and limits access to only their Clients. Interfaces with the Agency website quoting tools and carrier selections. Interfaces with ClientTrack for prospects requesting quotes. "Agent Toolbox" is the I-AMP Service. ClientTrack© is one of the core modules in the suite of products for Insurance Agencies. Not only does it interface with the popular CaseTrack, it can also be used as a stand-alone module. The Primary Role of ClientTrack is "Customer Service"
ClientTrack contains many features to assist you. Designed to be independent of carrier control — it does not rely on feeds from carriers that are often unreliable or redundant. Manages short and long term storage of your clients’ portfolio — the ClientTrack storage system assists with marketing and servicing of your clients. You will receive necessary notices when an action is required. 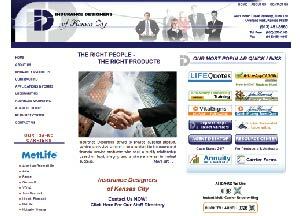 Insurance independent — you can use the service for all types of insurance including life, health, casualty, etc.. Displays supportive portfolio reminders — you will be automatically notified of follow-up dates, birthdays, anniversaries, and expiration dates. 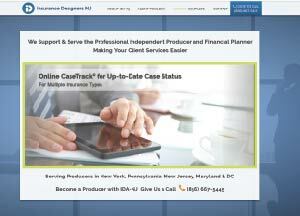 CaseTrack© is another module in the suite of products for Insurance Agencies. CaseTrack interfaces with the ClientTrack module or it can be used as a stand-alone product. CaseTrack is designed to manage the progress of tracking a client’s case through the various stages of underwriting. It provides an area to store notes and comments and the responsibility for who will complete certain portions of the underwriting requirements, providing notices when an action is needed. CaseTrack is insurance type independent; you can use the service for all types of insurance including Life, Health, Causality, and other portfolio items. It is designed to work without carrier control, which is often unreliable or redundant. Like the ClientTrack system, it is simple to use. CaseTrack has an Agency Management side and an agent user side. CaseTrack is agent specific and through their agent login, they can see the progress as well as interface with the case requirements assigned to them. Automatically you and the agent will be notified of Follow-Up Dates, and important changes to the case. The primary role of CaseTrack is to provide the agent with the status of a pending case and the ability to be proactive during the UNDERWRITING PROCESS. This allows agents to provide better client service without the need to make continual calls to their office. The Rate Quote uses data provided by Compulife®, the leading resource for Term Insurance rates, covering nearly every major insurance carrier with term coverage. Get online term quotes using your selected companies. 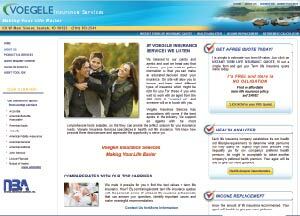 We combine the accuracy of CompuLife's term insurance database with the power of our custom interface and advanced web servers to provide you one of the fastest and most customizable term quoting services available anywhere. We can fully customize your web pages to take advantage of website forms and client services. Instant Term Life Quotes: Featuring CompuLife's term rate engine, we can customize the display of term rates. 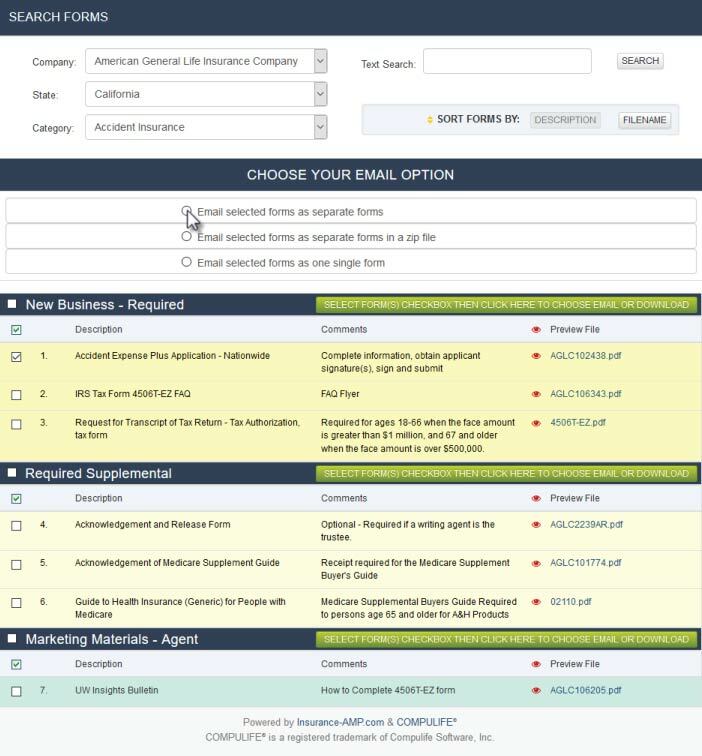 Add an application request button, change the look and feel of the results page, add your own logos, and even re-run the quotes with a different set of carriers without re-entering the potential insured's information. gives you this much flexibility! Health Analyzer Calculator: Each life insurance company establishes its own health and lifestyle requirements to determine what premiums a person may qualify for. This easy to use online tool will help your agent determine health/life-style issues which may disqualify their client for a company's preferred health premiums which might be acceptable to obtain from other companies. This will assist your agent to give their clients better guidance. Income Replacement Calculator: Online calculation tool that shows the amount the clients family will need in the event that there is a loss of income of breadwinner. Retirement Calculator: Online calculation tool to show the savings required for client to reach their retirement goal. Access your selected carriers' forms to email or download directly as you create quotes for your client prospects. JohnsonServices & Companies provides web hosting and web design services for a wide range of businesses, specializing in the real estate, business broker and insurance businesses. We can design a new website for your company which includes special features, or if you already have a website but would like to have a new design, we can help by providing some of the best quality web design available. We create clean, professional designs for all types of businesses and organizations, big and small. 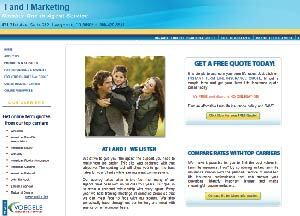 We integrate our Quote Engine and ClientTrack Marketing System into your website. 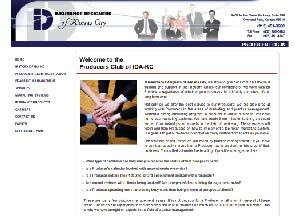 Other Business Modules are available options to enhance your website. We are the hosting company for major business brokerage organizations, such as VR Business Brokers. With JohnsonServices & Companies as your web hosting company, you get a lot more than conventional web hosting. Contact us with your specific needs. You can get ahead of the competition by coming on-board with JohnsonServices. Why pay thousands for extra features when you can have the best for a minimal investment. E-mail or call us today at 727-561-9333 and we'll provide a quote that will best suite your needs.